Here we have a very rare bottle from the old Royal Irish Distillery in Belfast. 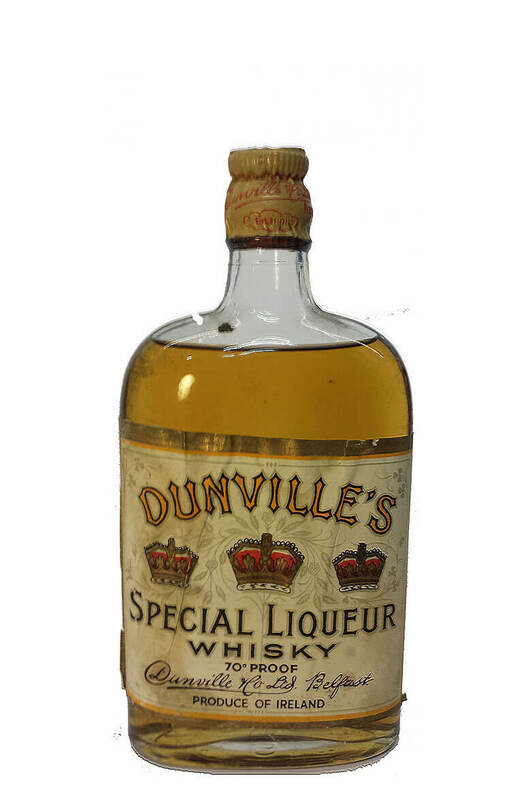 This certainly pre-dates the time the distillery closed in the early 1950s and is more likely from the 1920s or 1930s. A half bottle but a little bigger than the half bottles we have today! There is no statement of volume contents but it does state '70 proof'. This label was also known as the 'Three Crowns' whisky.